A Content Management System or CMS is an application or software that lets you control and manage the content of your website. 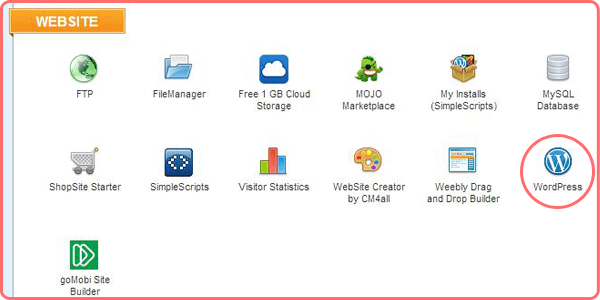 Even if you don’t know how to code, or if you’re a beginner, you can easily manage your website using CMS. You would be able to add pictures, post a blog, or upload a video. You can also change the design of your website through CMS. • Content Management Application (CMA) – this is the element that allows the user to create and modify contents in a website. • Content Delivery Application (CDA) – this uses and compiles the elements that needs to be uploaded in the internet. A good CMS to use is the one that is flexible and easy to use. It should be able to let you preview your work as you make changes on your website. A good CMS should also be easy to understand, especially for those who doesn’t have working knowledge on creating a website. You also have the option to activate only the features that you need, and turn off the features that you don’t want. You may know WordPress as a blogging website. But did you know that there’s more to it that an avenue for bloggers to write their thoughts? WordPress is an open source blogging tool and content management system or CMS which is based on PHP and MySQL. WordPress proved be much simpler and easy to use. Its interface is also user-friendly and easy to understand. It’s easier to add contents to your page, like pictures or music. Aside from adding tags on your entries for easier search, you can also put categories into your contents. You may wonder if you can use WordPress with your iPage account. The answer to that is yes. iPage is the perfect partner for WordPress. You would have the ability to design your website, as well as create and modify content your website on iPage through WordPress. 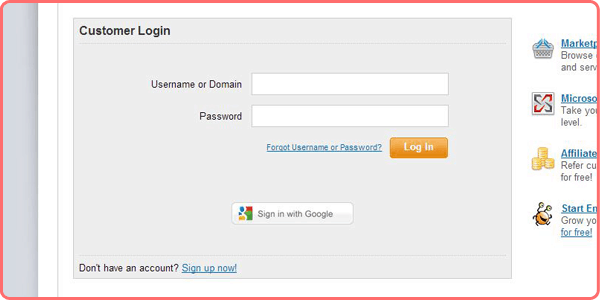 If you already have a WordPress account, you can also use that with iPage as well. To be able to use WordPress on your iPage account, you need to be able to install it on your iPage account first. You may think it would be difficult or require in-depth knowledge, but that’s not the case. 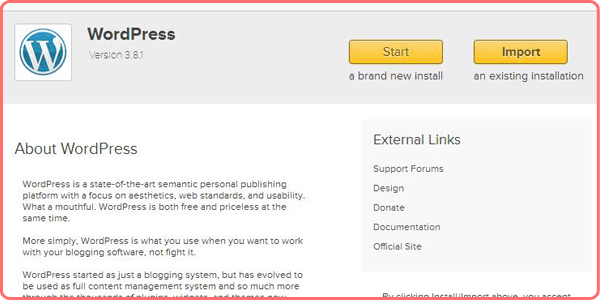 iPage made it easy for you to install WordPress. You can do this in these simple steps. 1. Sign in to your iPage account. 3. You may encounter this warning after clicking the wordpress icon, just click the continue button. 4. 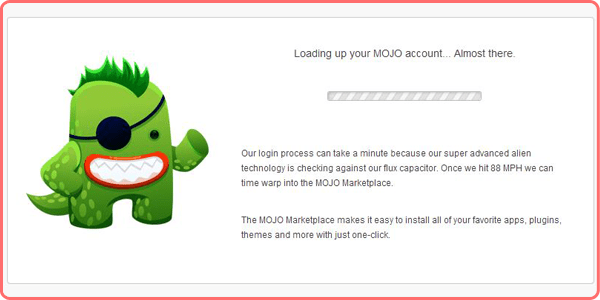 On the next page, you will be redirected to mojomarketplace.com to install wordpress. 5. 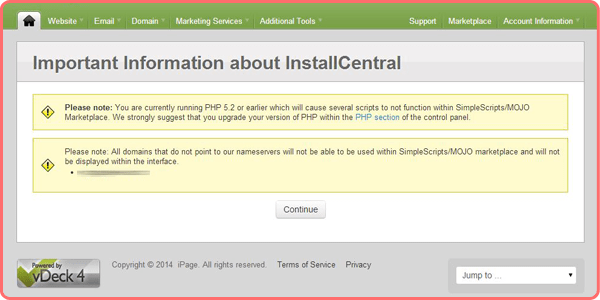 Next, click for the “Start” button to do a brand new install of wordpress in your site if this was the first time. If not, click the “Import” button if there’s an existing installation. 6. After that, choose the domain you want to run in wordpress. Dont forget to click the “Check Domain” button if the domain is ready for the installation. Once you finished installing WordPress on your iPage account, you can now use it to start creating contents for your website. You can already design your website, and add other elements such, as widgets, on it. If you encounter any issues while installing WordPress on your iPage account, you may contact iPage’s customer support. You can reach them anytime through phone, email or chat.